Version 1.1 on a frosty morning. 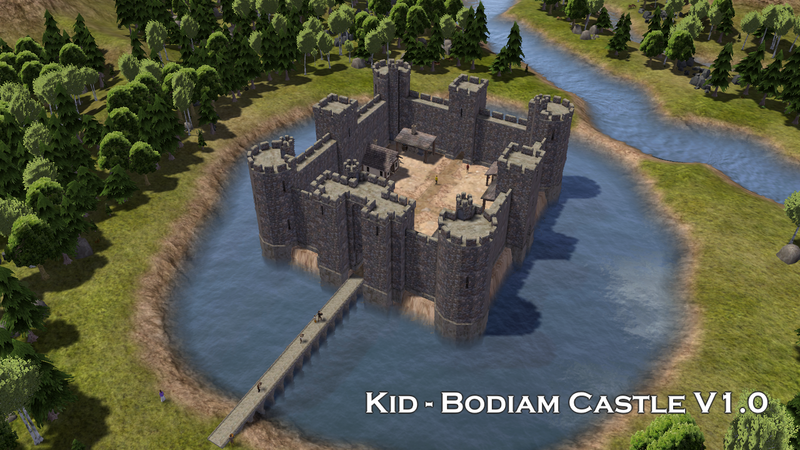 How to build Bodiam Castle on water. 4. Place Jetty close to the edge just in front of middle tile. 5. Build Jetties to solid ground on the shore. 6. Place Main part exactly over raised area. 7. Let the bannies work. stranded on the raised ground in the middle of the lake. Looks great! Off to download and start a new game! First thanks Kid for this nice mod. Just sharing what i find out. It seems we can add these 2 buildings in your castle : NightCap from your Bed and breakfast mod and Humble chopper from Necora's Maritime humble constructions. Also using terraform lower level 2 (from CC terrain tools) near the walls gives good result. Thanks @hopledor ! 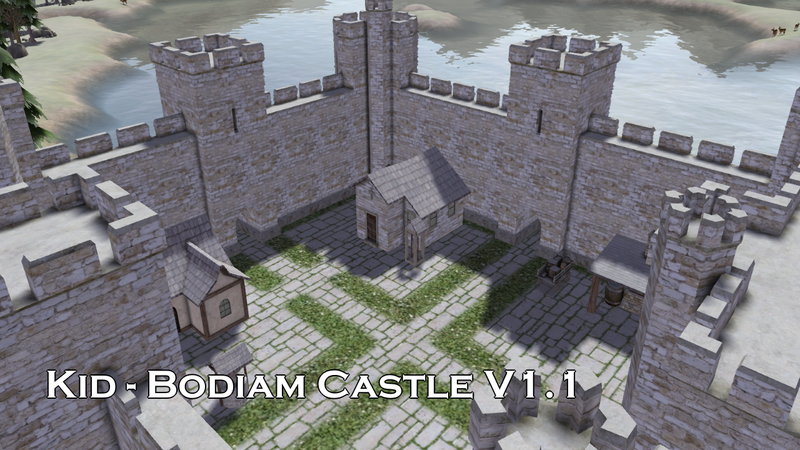 You made a near perfect version of original Bodiam Castle. I have seen pictures and you are very close! Right. All buildings/deco that are possible to place on roads can be built inside walls. And, of course, ghosted stuff too. This is incredible, what a lovely piece of work, thanks for this. Do you think we could get seperate castle walls and gatehouse and towers, just seperated parts of the castle. We've had that discussion @darnokthemage ! Having a modular castle set would be an incredible tool. But don't do anything you don't like or wouldn't want yourself. I took a look at my files and I have no way to make it modular from what I have! First and most important. It is modeled as one piece. I can not just cut it. at standard size of tiles. I would have to shrink or enlarge to make them fit. It must be something for the future. Totally new models. Sorry. I tried to do something similar a while back using a cathedral and DS stone Bridge items, and the stone walls from CC, but It took forever and never quite lined up in the water the right way. I'm wondering... is there a way to do an opposite of ground flattening? A hole digger/lake (moat?) creator? I used to used canals from RK then remove them, but it was hard to get that right. You had to do the construct/destruct just so to avoid having one thin seam in between your newly uncovered water hole. Anyway, it would help correct any mistakes made along the way to building this marvelous castle! 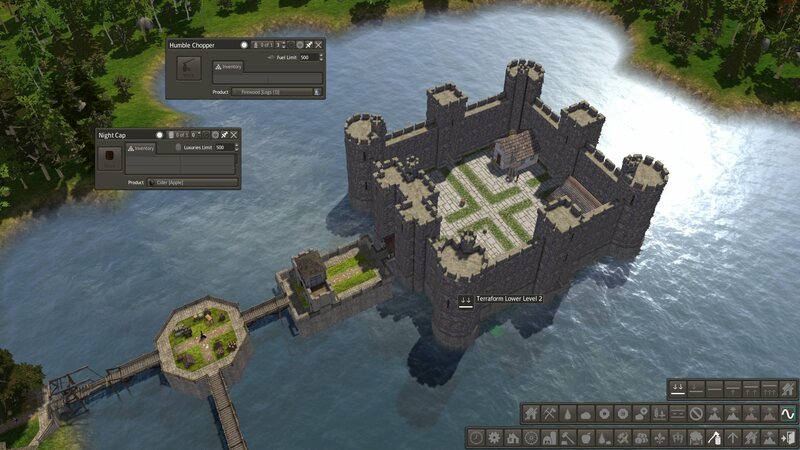 I would like to build this castle, but add another island to put a castle residence like the one in your other mod. My own Avalon! the canals has been upgraded. there are some terraform mods. NECORA's riffle mod lets you dig angles for banks instead of just a vertical hole.the mod has its own water texture for making ponds.